This workshop will review the APA Ethic Code and use vignettes to discuss situations faced by psychologists working with families and children. Diversity will include examples of many types of families. This workshop will be helpful to psychologists who work in the forensic area but is particularly geared toward clinicians who do NOT work in this area. These clinicians often face challenges related to release of records, responding to subpoenas, and working with children of divorce. The workshop will be presented by an experienced child/family psychologist who specializes in forensic work, as well as by a family law and education specialist attorney. Many questions asked by clinicians working with children and families are actually legal questions, so ethical and legal will both be discussed. List the variety of roles a psychologist can take when working with children and families. Discuss the problems arising from client relationships, and when it is appropriate to become involved in a case. Vignettes will be used as illustration. Explain the extent of Mental Health Privilege, how it relates to communication between licensed officials, and the importance of consent from one or more individuals. Discuss ethical and legal issues related to referrals, the release of records, and subpoenas, as shown through vignettes. List record keeping guidelines and discuss ethical problems arising from records, how to handle them, and how to avoid them. List and discuss current laws and regulations regarding reporting child abuse. Explain various pitfalls and tips for testifying in court. 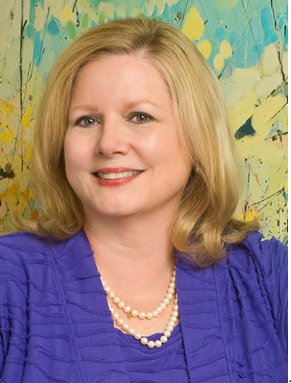 Nancy A. McGarrah, PhD has been a licensed psychologist in Georgia since 1984, after receiving her doctorate from Emory University in 1983. She works with children and their families including evaluation, therapy and court testimony. Her areas of specialization are child trauma and forensic psychology. She is a Fellow of the Georgia Psychological Association (GPA) and has served as President and Chaired the Ethics and Children’s Legal and Legislative Issues committees. She is also a Fellow of the American Psychological Association (APA) and served on its Ethics Committee, including being Chair (2009-2010). Dr. McGarrah received the Karl Heiser Presidential Award from APA in 2000 for Advocacy on Behalf of Professional Psychology. She is the Georgia representative to the APA Council of Representatives (2013-2016). She also was the recipient of the Power of Prevention Award in 2007 from Prevent Child Abuse Georgia.Dr. McGarrah speaks to numerous groups regarding abuse, trauma, divorce, child and family topics, media, and ethics.Dr. McGarrah speaks to numerous groups regarding abuse, trauma, divorce, child and family topics, media, and ethics. Dr. McGarrah has been an Adjunct Professor at Emory University and is a Guest Lecturer at Emory Law School and Emory School of Medicine. She is in private practice with Cliff Valley Psychologists, which she co-founded in 1985. Ms. Lois Shingler, JD graduated from Ohio University in 1972 with a degree in Political Science and went to the University of Georgia School of Law, graduating in 1975. She has been married to George P. Shingler, also an attorney, for 44 years and they have two children. Her son, Paul, is on the autism spectrum and lives with Ms. Shingler and her husband. Her daughter is an attorney in Atlanta and she and her husband have two wonderful children. Ms. Shingler’s career began with Georgia Legal Services in Savannah in 1975 and in 1977, she moved back to Atlanta where she helped establish the Conyers’ office of Georgia Legal Services. When Ms. Shingler left Georgia Legal Services, she worked as a contract attorney for several years. In the early 1980’sm she served as a Georgia Special Assistant Attorney General representing the Department of Family and Children Services in several metro counties and in 1989, helped establish the Child Advocate Office for the Gwinnett County Juvenile Court. Since 1990, she has worked as a sole practitioner, primarily representing children whose parents find themselves divorcing, or modifying an earlier divorce, in the metro area Superior Courts. Ms. Shingler currently limits her practice to Guardian ad Litem work in the metro area. All cancellations must be submitted in writing to Staci Bratcher via email (stacibratcher@gapsychology.org). A $35 cancellation fee will be charged for any cancellations prior to August 31, 2018. No refunds will be given after August 31, 2018.